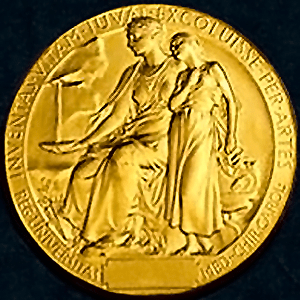 The 2010 Nobel Prize awards for chemistry, physiology or medicine, and physics were recently announced as they are every year at around this time, as I have posted before. Memorial Prize in Economic Sciences for their 300th anniversary. 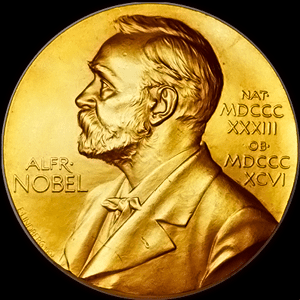 This prize for economics in honor of Alfred Nobel was first awarded the following year. 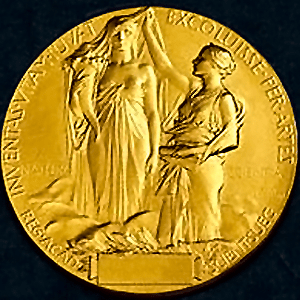 The 2010 Nobel Prize for Chemistry is awarded to University of Delaware scientist Richard Heck, Purdue University scientist Ei-ichi Negishi, and Hokkaido University scientist Akira Suzuki for developing palladium-catalyzed cross couplings in organic synthesis. The 2010 Nobel Prize for Physiology or Medicine is awarded to University of Cambridge scientist Robert Edwards for the development of in vitro fertilization. The 2010 Nobel Prize for Physics is awarded to University of Manchester scientists Andre Geim and Konstantin Novoselov for groundbreaking experiments regarding the two-dimensional material graphene.